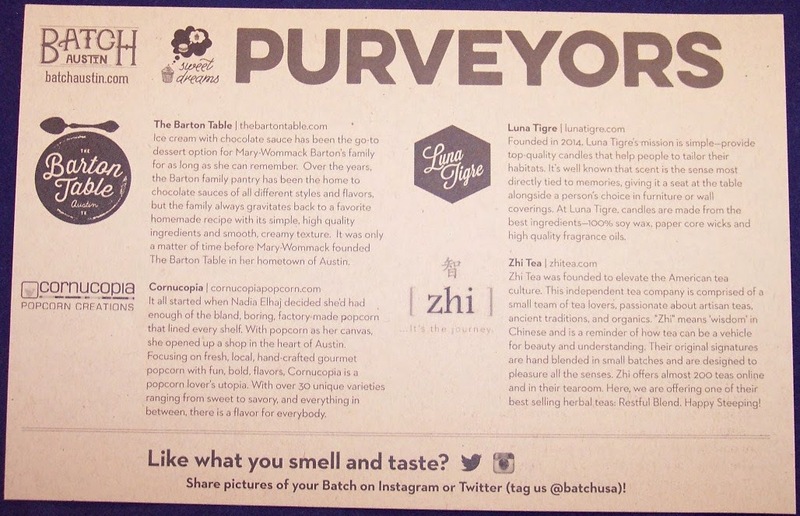 Batch Austin Gourmet Food Review, February 2015 + Discount Codes! Living in Austin for a couple of years left me with a profound respect for bats. (Truth be told, they weren't actually there then but I like to pretend they were.) Since their arrival by the millions in the early 80's, bats have significantly enriched Austin's cultural identity. Those little pest controlling tourist-attracting flying entrepreneurs have also proved to be a considerable economic stimulus to the area. 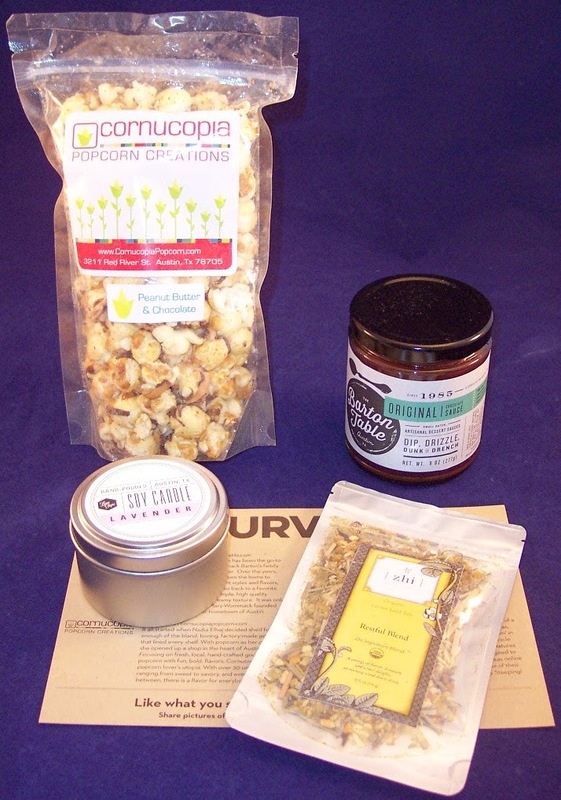 February's Batch Austin box contained four products, three gourmet edibles and a candle. The popcorn gods have smiled on me via Batch Austin. A couple of months ago I (who never win anything) actually won one of the prizes in their "Twelve Days of Christmas" contest and they generously sent me four bags of gourmet popcorn that had been featured in one of their previous boxes. Those bags are long gone but their memory lingers on. 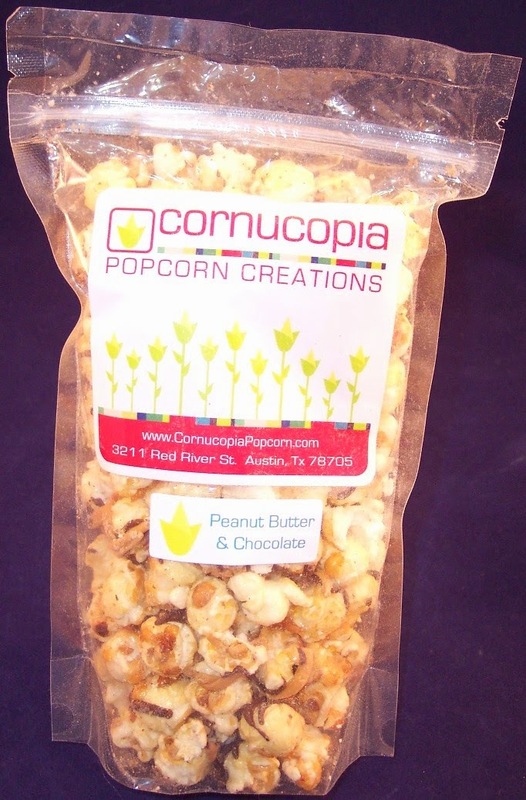 This month we have a peanut butter and chocolate mix from Cornucopia Popcorn Creations which makes over 30 unique varieties. Just yum! 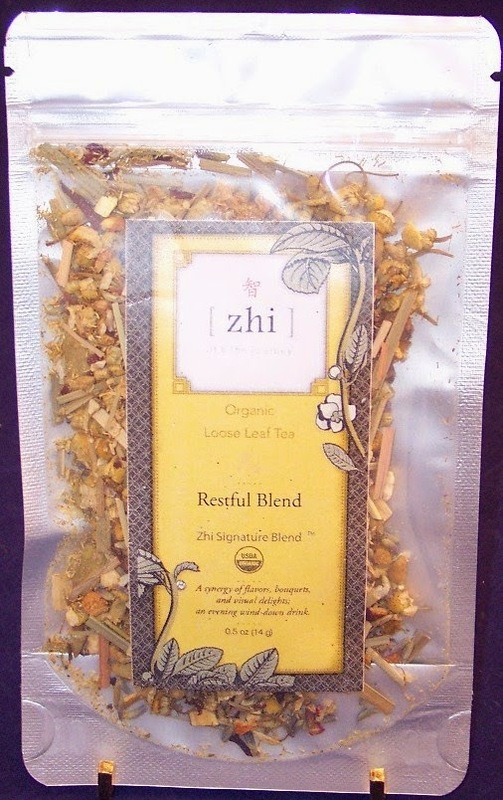 Next is this tea from Zhi Tea, an independent tea company that offers almost 200 hand blended teas. This herbal tea is called "Restful Blend", an organic loose-leaf tea containing "a synergy of flavors, bouquets and visual delights". This is a really beautifully and artfully made blend which I can't wait to try. The piece de resistance in this box is a 9 oz. 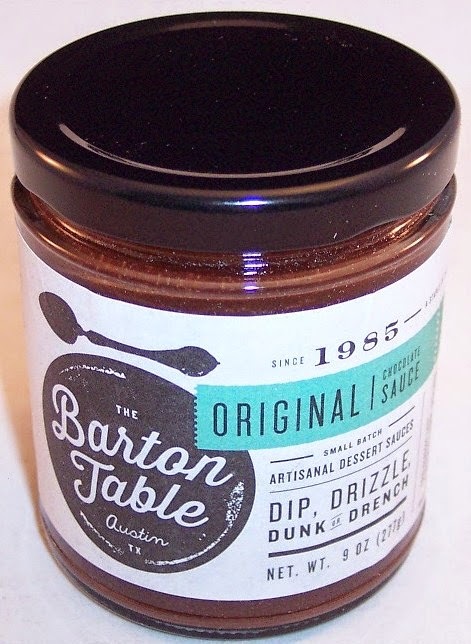 jar of Original Chocolate Sauce from The Barton Table. This is a "homemade recipe with simple, high quality ingredients and a smooth creamy texture" suitable (as the label says) for dipping, drizzling, dunking and drenching. The instructions advise the user to "scoop desired amount into cup or bowl...then add one more scoop"! 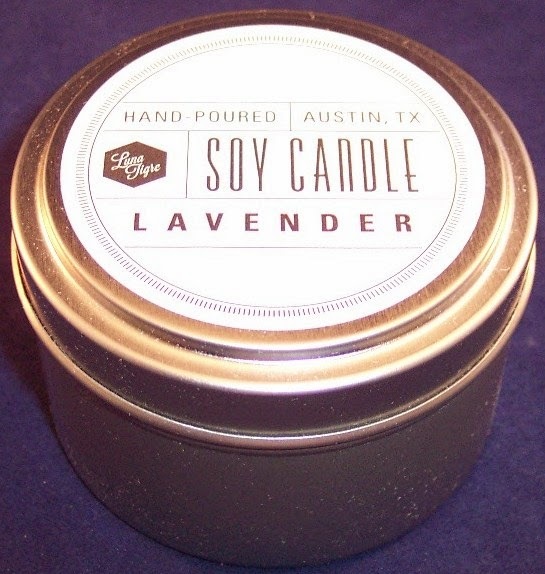 The final item was somewhat unexpected....a hand poured lavender scented soy candle in a cute metal tin from Luna Tigre, a brand new candle company founded in 2014. Although lavender is not my favorite scent, I have to admit this is nice. And candles are always welcome in my sub boxes! The items in this box were chosen to please all the senses. I think they accomplished that and represented Austin well! Forgot to mention the information card which tells about each contributor and provides a 20% discount code (SWEETDREAMS) which can be used towards any gift batch on their site. Batch Austin is $29.99 per month which includes free shipping. (The box weighs about 3 lbs., so the shipping cost is significant.) Coupon code BELOCAL or BATCHTASTIC will get 10% off your first order. Also, don't forget to check Batch's site for boxes from their other featured cities, Nashville, Charleston and Memphis. One little bit of bat trivia, then I promise I'll go away. A Mom Mexican free-tail bat can find her baby even in colonies where 500 of them cluster in one square foot. Now, that's just good parenting! Somehow, I have fallen away from Wantable over the past few months. That is no reflection on them, just a result of too many beauty sub boxes arriving on my doorstep. So I recently re-started the subscription using pretty much the same profile that I used before, specifying that I wanted age appropriate classic cosmetics. I was somewhat dismayed to receive a box of makeup that would have been suitable for an 18 year old Goth girl! (Honestly, I think they may have gotten me mixed up with a different customer.) Fortunately, Wantable has a good return policy so I shipped it all back. I had much better luck with the next box which contained these four full size products. The preferences chosen appear on an insert along with photos of each product, a little information about it and its retail price. 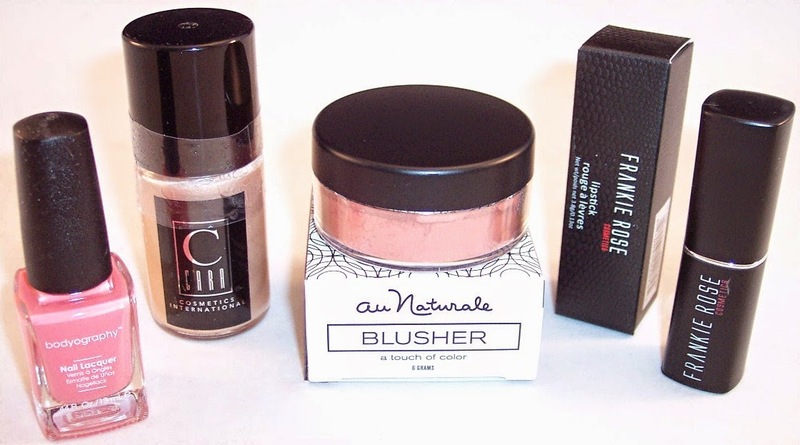 As you can see, I marked as my "Loves" - Complexion Products, Cool, Blush, Lip Color and Nail Polish. My "Likes" were Warm, Eyeliner, Lash Products and Highlighter. My "Dislikes" were Brows, Eye Shadow, Bronzer and Tools. You can judge from the items received how well they met those criteria. (My experience has been that you get mostly "Loves", maybe a "Like" and no "Dislikes".) Since the boxes have an endless amount of possible product combinations, I think it's amazing that they are able to produce an information card that names the specific items in each customer's box. This box had a combined retail value of $84.48. Because I returned my first box, I ended up paying $40. If I had not returned that box, this one would have been $36. Either way, I am quite happy with the quality and value received. 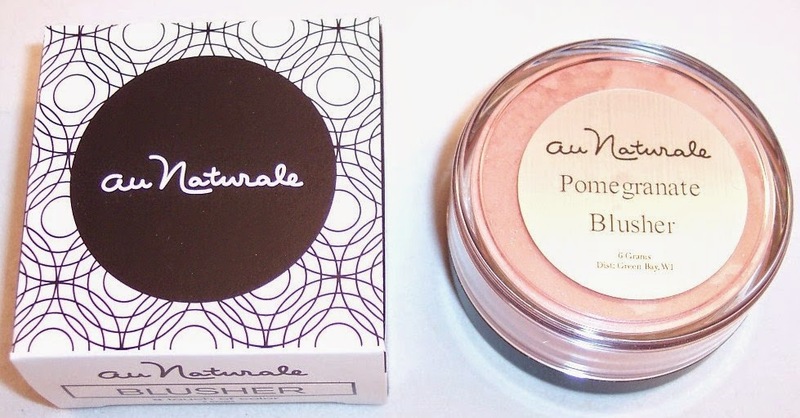 Wantable Makeup is a good option for anyone but I especially recommend it to those who have an abundance of trial and travel sizes from the less expensive beauty boxes. It's easy to accumulate dozens (who am I kidding...hundreds!) of little samples that may be of dubious quality and that just don't suit you for one reason or another. 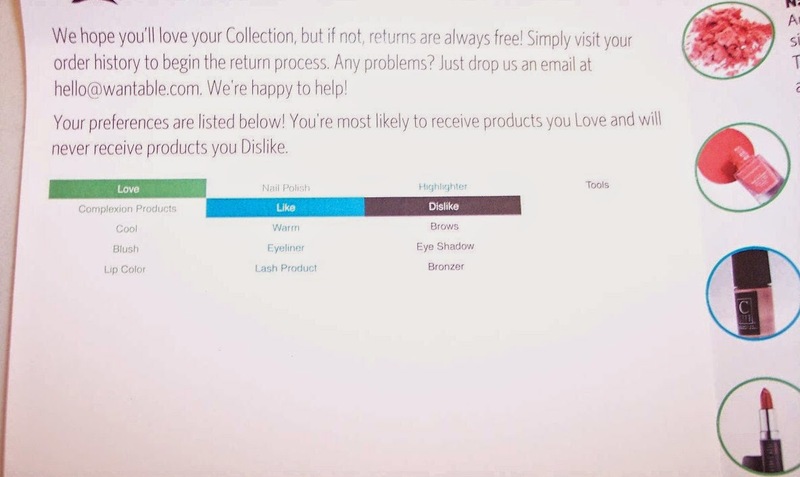 If you're ready to step up to a luxury beauty subscription with a stellar reputation for sending quality products, Wantable is an excellent choice. 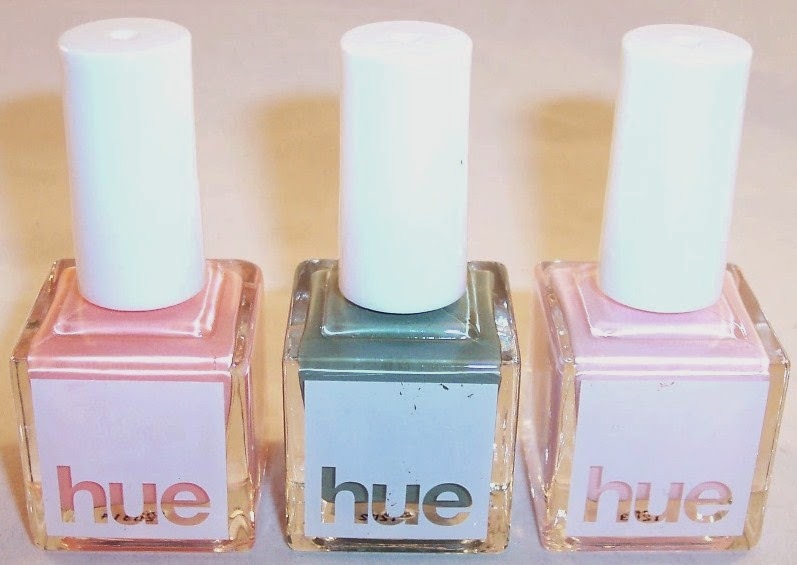 Square Hue Nail Polish Subscription Box Review, February 2015 + FREE Surprise Box Code! 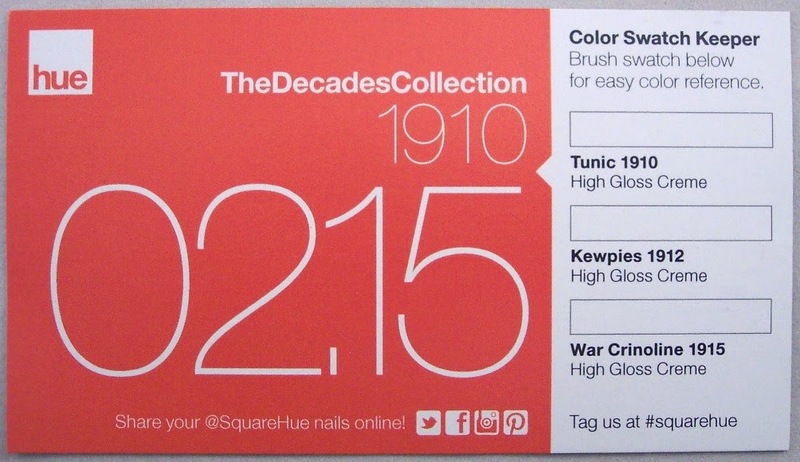 Square Hue's innovative Decades Collection continues in February with a trio of shades celebrating the 1910's. In case you missed my last review, throughout 2015 Square Hue is issuing nail polish sets that translate the mood and feel of each decade in U.S. history. This seems like quite a creative challenge to me but so far, I think they are right on point! The first two shades swatch darker than they appear in the bottle. The third is a classic "ballet slippers" pink. So, how do you think they did at capturing the 1910's through color? That was a tough decade for this country, which "War Crinoline" clearly reflects. I don't see the connection as much with the other two although they are lovely pale shades. There is a certain muting to all three colors that does reflect the grim times. 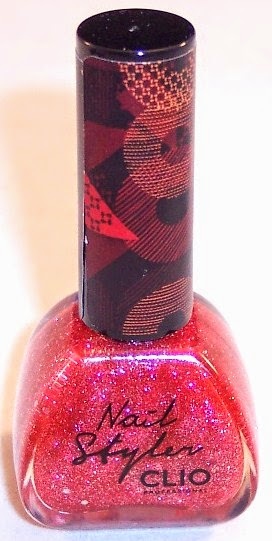 Eagle-eyed readers may have noticed that "War Crinoline" is the exact same shade as "Na Prikope" from the November 2014 Prague box. Square Hue has copped to that mistake and refunded $7 to the account of anyone who received both. Personally, I would NEVER have caught that! Square Hue boxes cost $14.99 plus $5.00 for shipping. The code surprise52 will get you a free box along with your first box. Square Hue boxes usually arrive very early in the month so I'm guessing the March boxes are being shipped now. It will be interesting to see how they interpret the Roaring 20's! 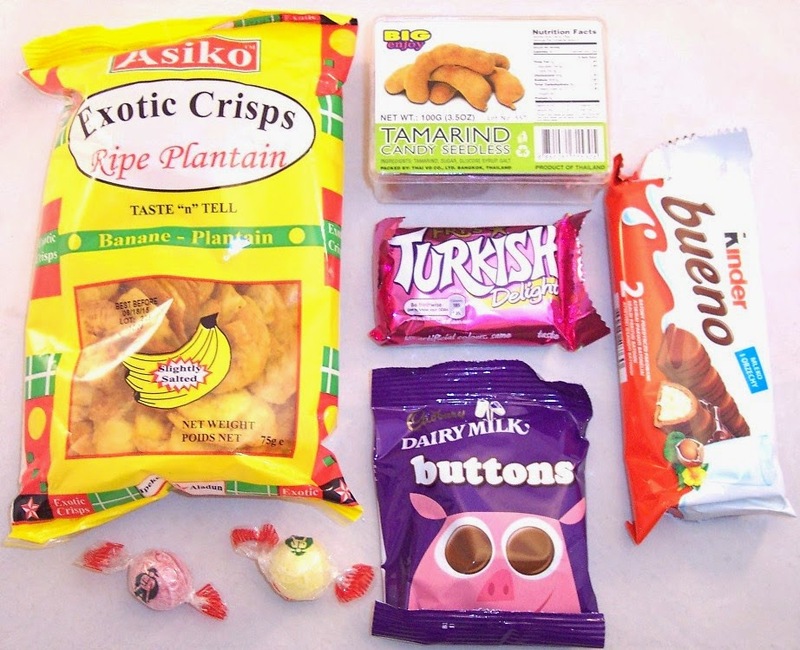 Bocandy International Snacks Review, February 2015, First Month Free! One of the newest competitors in the international candy subscription arena is Bocandy. According to the site, they send "a candy subscription box from around the world, minus the box". I couldn't find any information on the site letting potential subscribers know how much candy to expect per shipment which is a pretty big omission. The site seems underdeveloped with lots of misspellings and outdated information (like a major heading on the FAQ page about the cut-off date for November 2014 orders). My first shipment took a LONG time to arrive, about five weeks. Turns out they ship near the end of the month (around the 24th) and I signed up shortly after the first of the month, meaning I was in for a lengthy wait. A lot of sub companies send out first shipments very quickly to head off any concerns of first time buyers (great business practice, by the way) but that is not the case here. 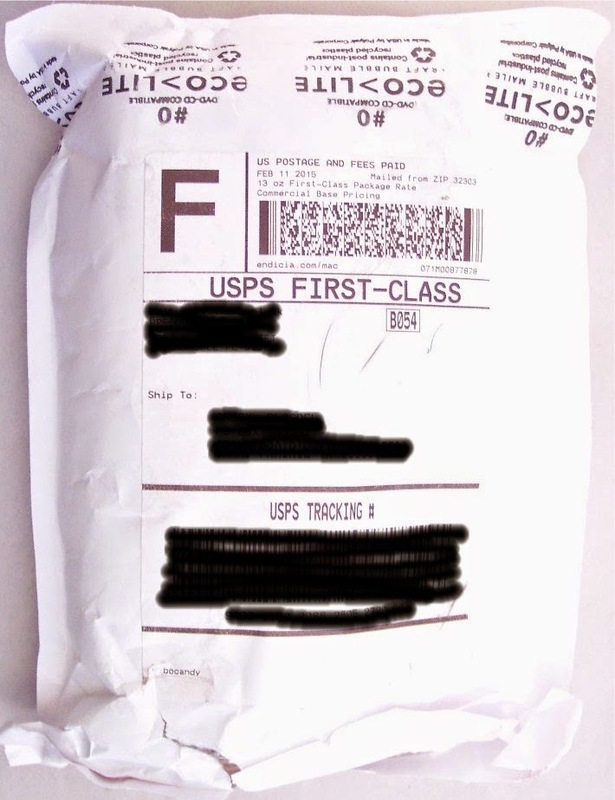 The February shipment arrived via USPS first class mail in a bubble envelope. The presentation was super basic with no information card, welcome flyer, coupons or anything except the snacks. Here's what the bag included - five full size single serve snacks and two sour ball type hard candies. 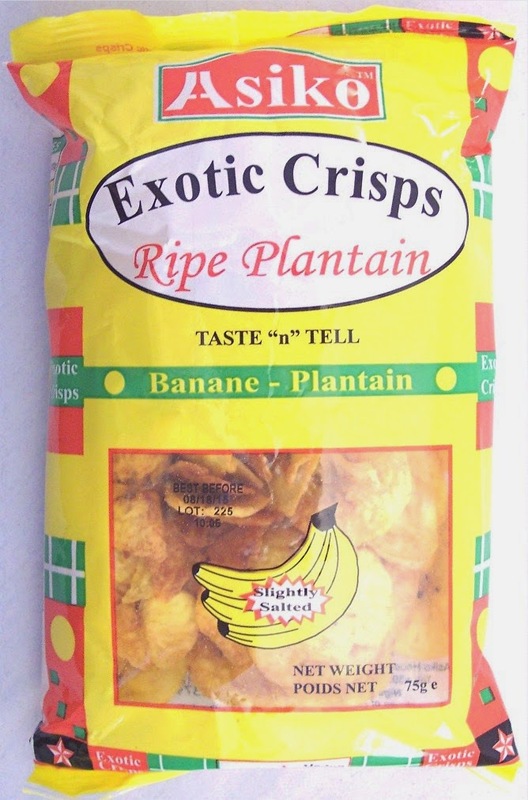 The biggest snack is a bag of Exotic Crisps - Ripe Plantain from Asiko in Costa Rica. As you probably know, plaintain looks like banana but that's where the resemblance ends. These look like thinly sliced banana chips but taste nothing like banana. They are lightly salted and quite crispy. I like these a lot and would buy them if I came across them while traveling in Central America! 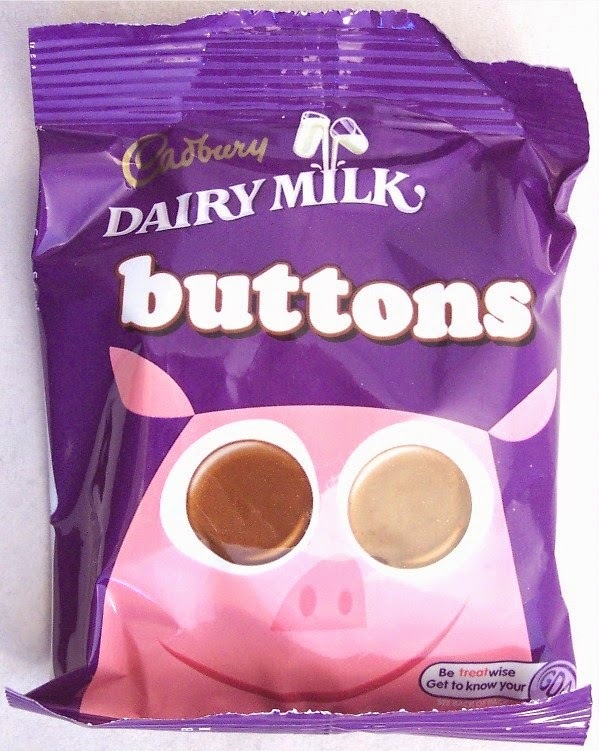 These Cadbury Dairy Milk Buttons are classic candies from the U.K. I've received them in quite a few previous candy or snack subscriptions. I'm sure they are good but since I prefer dark chocolate, these will be gifted. 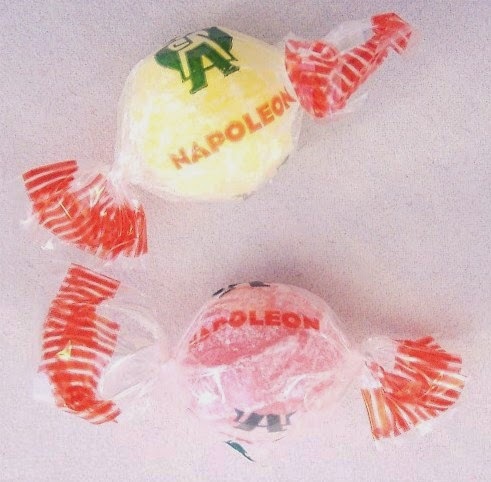 The only word I can make out on the label of the two small hard candies is "Napoleon". There's also a tiny image of the emperor himself so I'm guessing these come from France? I tried the yellow one; it's a good sour lemon ball. 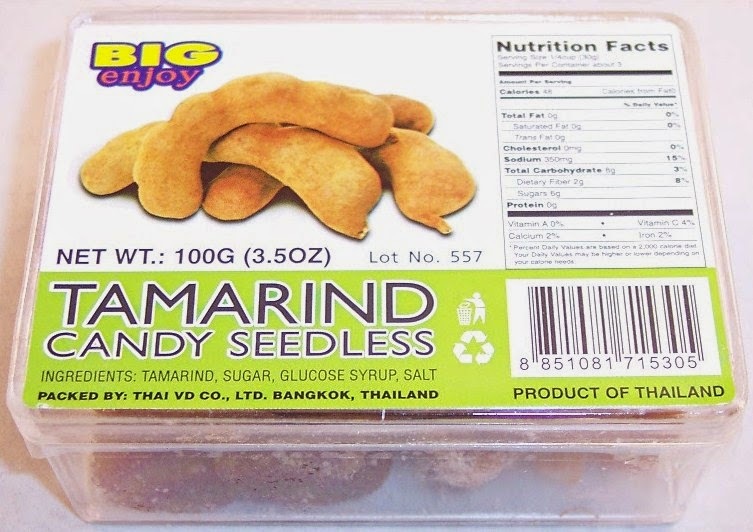 Next is a cute little acrylic box full of seedless tamarind candy from "Big Enjoy" of Thailand. These look like sugared and salted lumps of ginger. Unfortunately, my previous encounters with tamarind in other candy subs have taught me that I don't care for it so I'll be passing this one along too. 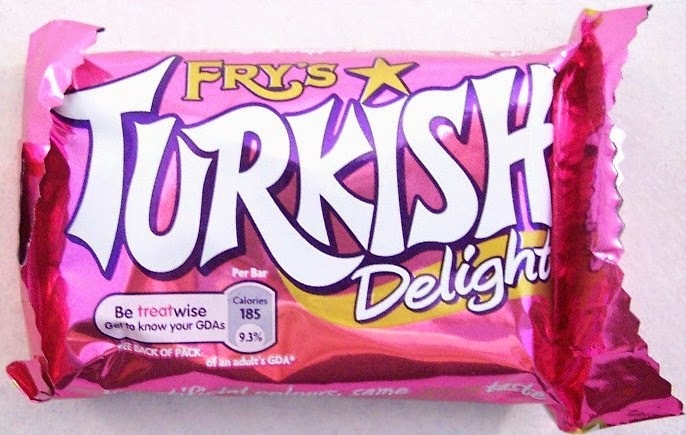 Next is a small milk chocolate bar called Fry's Turkish Delight, an odd name for another Cadbury product. This comes from the U.K., maybe Ireland (it's hard to tell from the back). The wrapper describes it as "Turkish delight wrapped in milk chocolate" which doesn't tell us much. I think it contains nuts. The last item is a full size candy bar (two slim logs actually) called Kinder Bueno which I think may be from Poland. Judging from the picture (since there are no English words), this looks like milk chocolate with hazelnut filling. I thought that edible items distributed in the U.S. had to have English language nutrition labels. I have seen those sticker labels on lots of other imported food items. Since I can't read anything on the package, this one is pretty much a leap of faith. As you can see, there wasn't a lot in this package. If I had paid $15, I would have been pretty unhappy. However, Bocandy does have a great promotion for first time buyers. When you subscribe, you get the first month for free. That effectively makes the cost of each of the first two shipments $7.50 (less if you commit to a longer term). I don't know if the first two shipments are representative of what you can expect for the higher price starting in the third month, but $15 is too much for five candies. If you do decide to sign up, I strongly recommend one of the longer term subscriptions to get the average monthly price down to a more reasonable amount. Have you tried Bocandy yet? If so, please comment below and let us know what you thought. 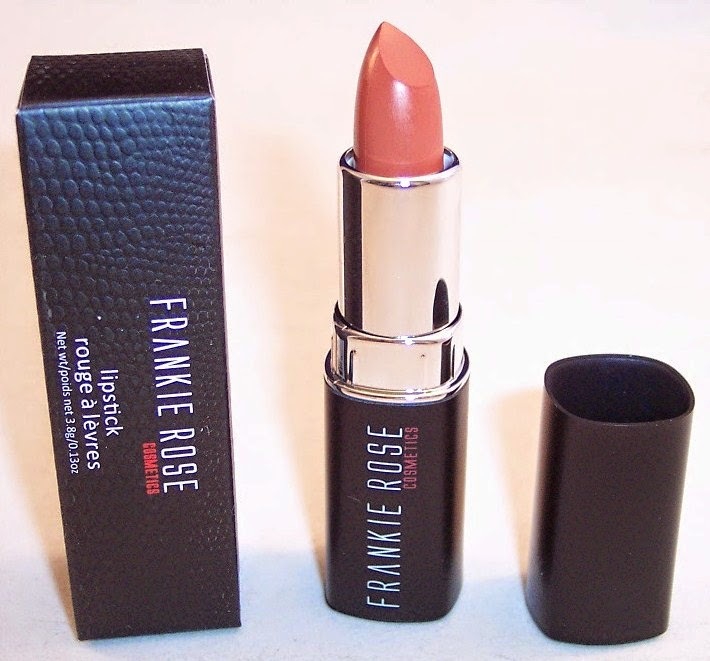 Memebox Valentine's Day Box Review, February 2015 + Discount Codes! I might be the last box blogger in the world to review a Memebox! 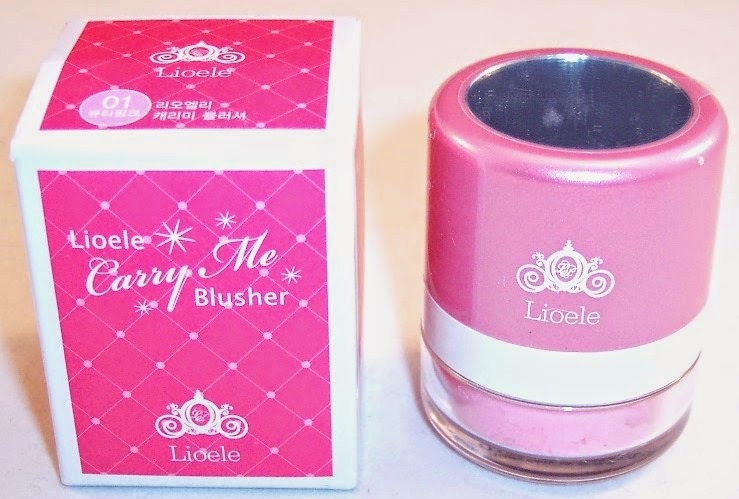 Although I'm late to the party, it isn't hard to understand the appeal of this Korean beauty company. 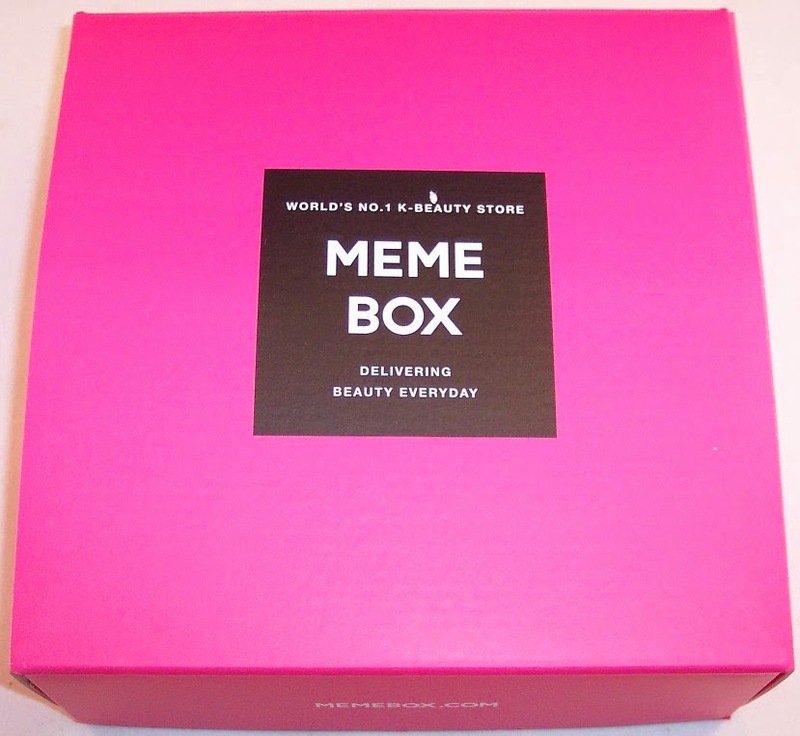 Technically, Memebox (pronounced "mi-mi") is an on-line beauty retailer, not a subscription box company. 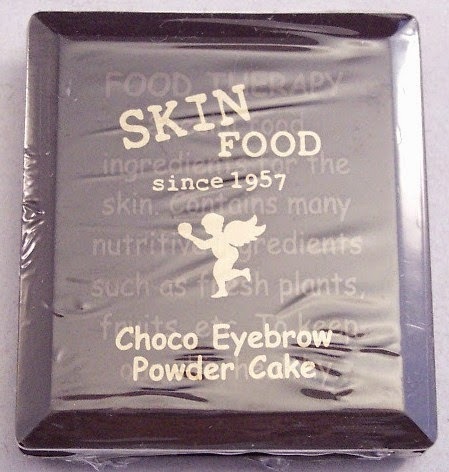 They have a constantly changing array of beautifully curated boxes full of K-Beauty products. As you may be aware, the Korean beauty industry is exploding due to its reputation for superb quality products and cutting-edge technology. 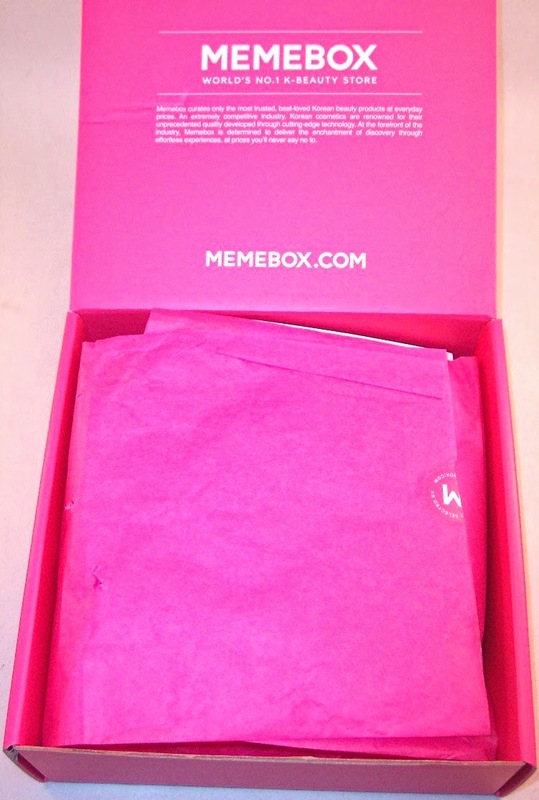 Memebox is at the forefront of this wave with boxes designed to provide access to leading trends and cult favorites. Since I've never read a bad review of any Memebox, I decided to plunge right in when their Valentine's Day box debuted earlier this year. You can see exactly what you're getting in each box and most of the products are full sized. 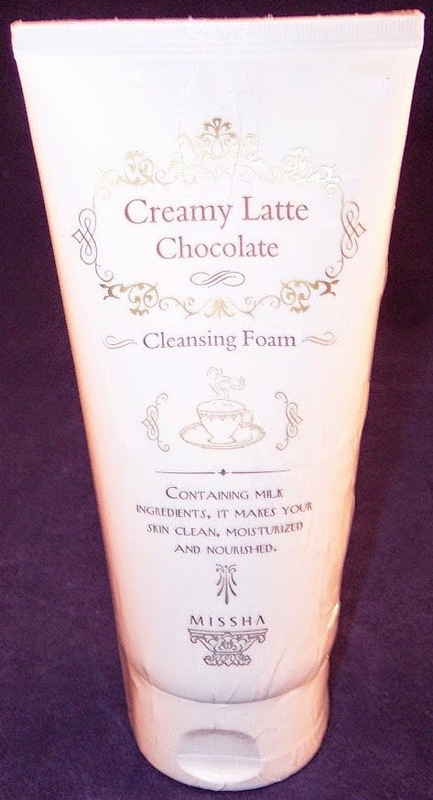 For U.S. customers, many K-beauty products will have unconventional names, formulations or even applications....making them a nice diversion for those of us on domestic beauty box overload! ....with lots more pink inside! Their tag line is "World's No. 1 K-Beauty Store". The box contained six full size products and a sprinkling of Dove chocolates. Words that came immediately to mind were "pink", "chocolate" and "sparkly"! 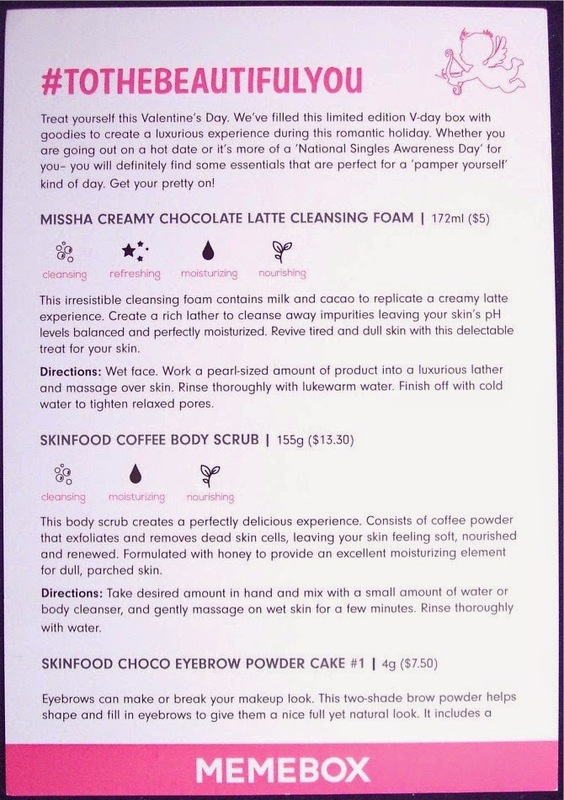 Despite its minimal style, the information card gives plenty of detail on each product, telling what it does, how to use it and its retail price. 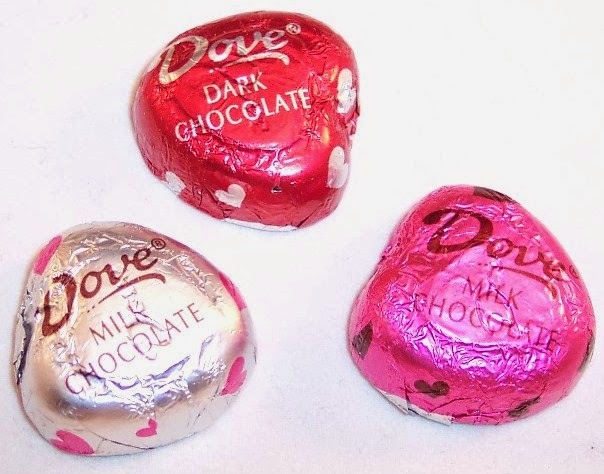 To complete the Valentine theme with a bit of charm, Meme included a few Dove chocolates. 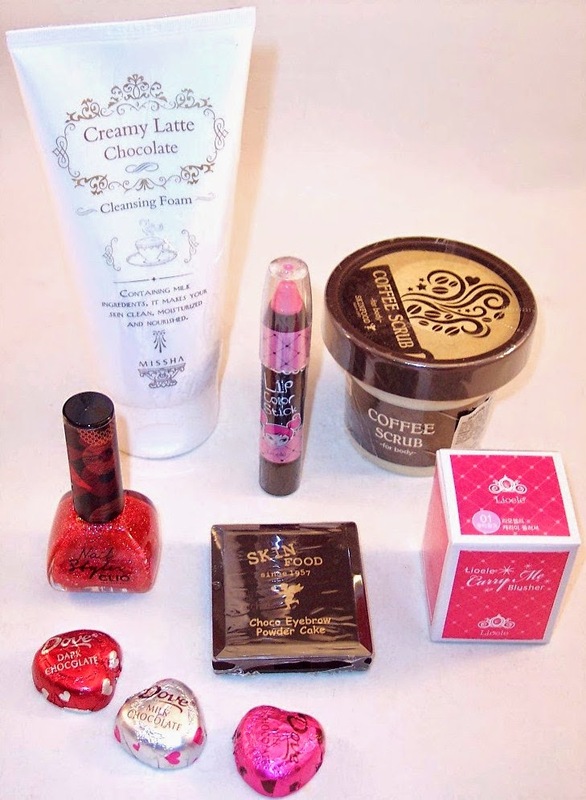 Chocolate is NEVER a bad thing in a beauty box! The total retail value of this box is $61.30. Since the cost was $38.00, I feel the value was quite good. 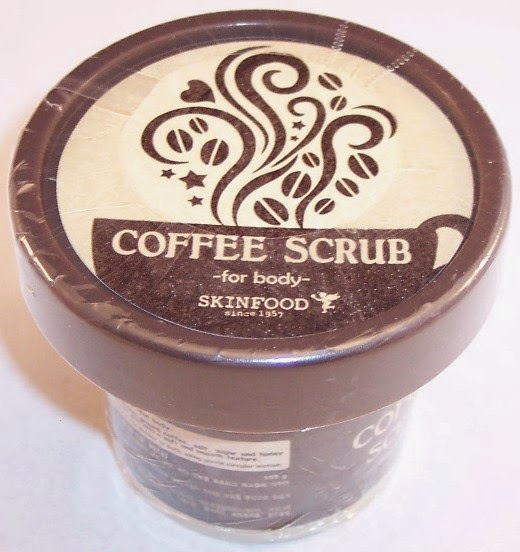 The products I expect to use the most are the coffee scrub, cleansing foam, blush and nail polish. I know the word "curation" is over-used when it comes to beauty boxes, but truly...the curation of this box is exquisite. The introduction to these K-brands and their beautiful packaging feels fresh and makes me understand why Korea's beauty industry has recently gained such incredible global momentum! Memebox seems to be going through some changes. 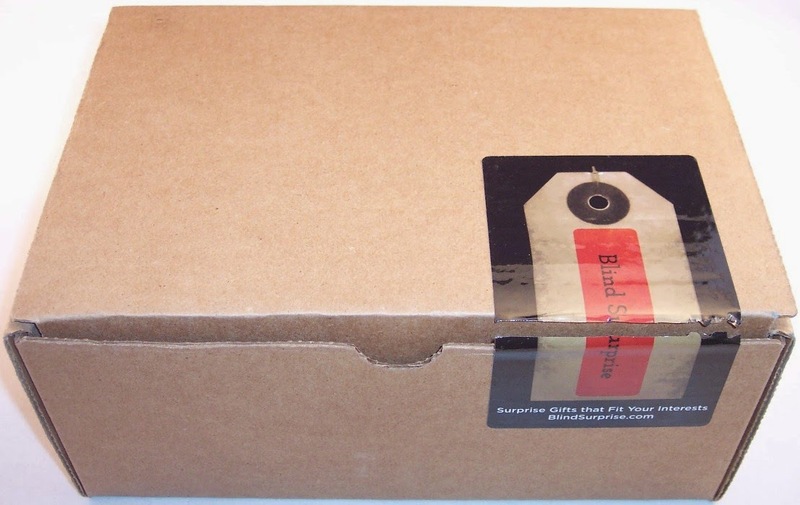 In the past, there was a vast array of boxes on their site. At the moment, there are only seven limited edition box themes that are not sold out. Typically there have been lots of discount codes for Memebox but they seem to be few and far between right now. That's probably because the seven available boxes are all on sale at heavily discounted prices ranging from $32 to $45. Many of the value sets and individual products on their site are also on sale. XOMEMEFREE - free shipping on Meme branded items. As always, keep on eye on Memebox's Facebook page for discounts and updates! Sock Fancy Review, February 2015 + 15% Discount Code! The sock gods must be smiling on the subscription industry! So far, I've counted at least a dozen sock sub companies. It makes sense; socks are easy to source, inexpensive to ship and everybody needs them. So the challenge for each sock contender is to differentiate their service in some way. 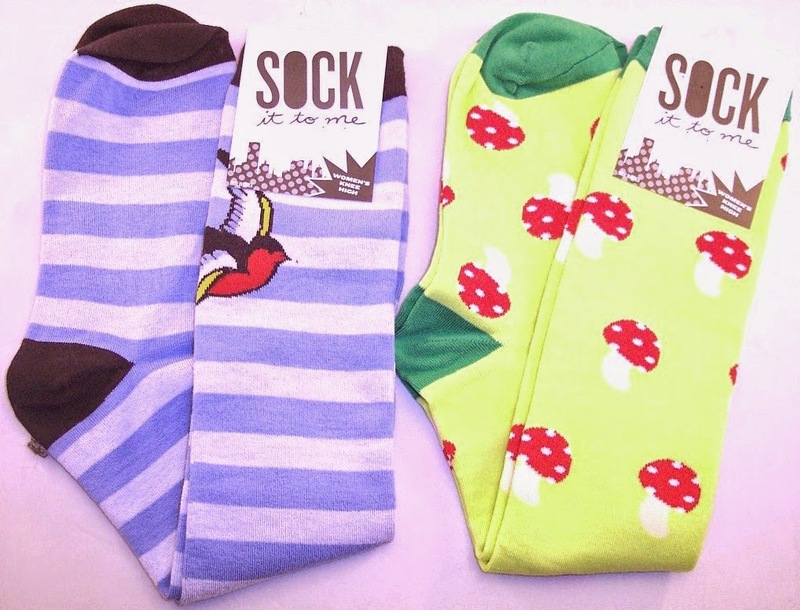 Sock Fancy does a pretty good job of that with their wild, colorful and unexpected patterns. At $9 per month for one pair of socks or $17 per month for two pairs, Sock Fancy is slightly less expensive than most of the other sock senders. If you don't like what you receive, you can send them back for an exchange. (I did that the first month and got a quick replacement.) Of course, you can cancel at any point. February's shipment brought me two pairs of wildly patterned knee socks. I've never been a big fan of knee socks but the fun factor is making them grow on me. As you can see, my camera had a really tough time capturing the colors correctly. No amount of photo editing helped. 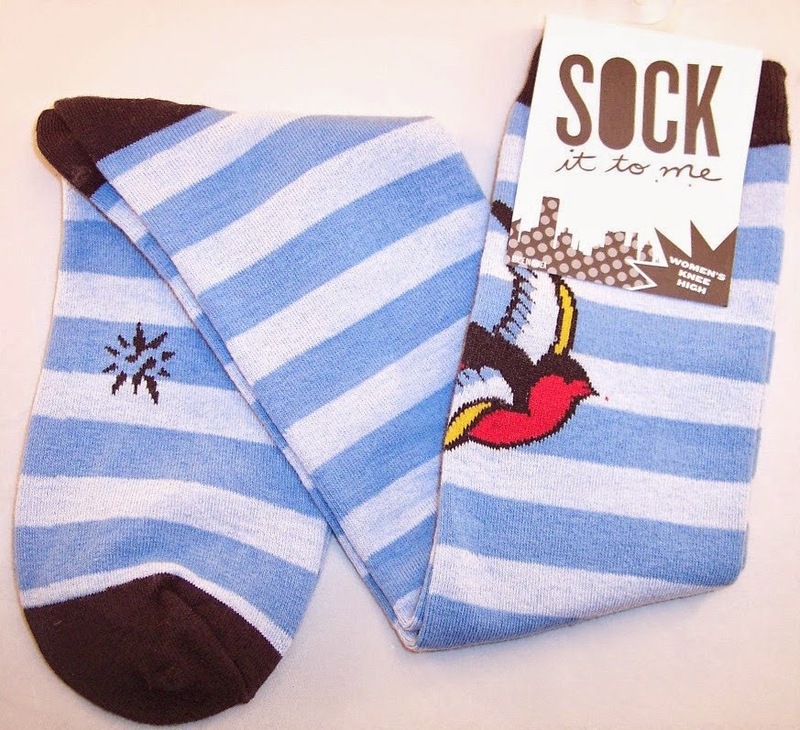 Here's what the blue striped socks really look like...horizontal pale and medium blue stripes with a red and navy bird flying across the top of each one. With 75% cotton, 20% polyester and 5% spandex, these are nice and stretchy. You must give Sock Fancy points for imagination; these are not socks you'd pick up at Walmart or Macy's. They are pretty good quality and so far, the ones I've put through the wash have held up well. And let's face it....they put a smile on my face when I put them on in the morning. That is worth a lot to me! Could your sock drawer use a breath of fresh air? If so, use code OPTIN15 or FRIEND15 for a 15% discount off your subscription. 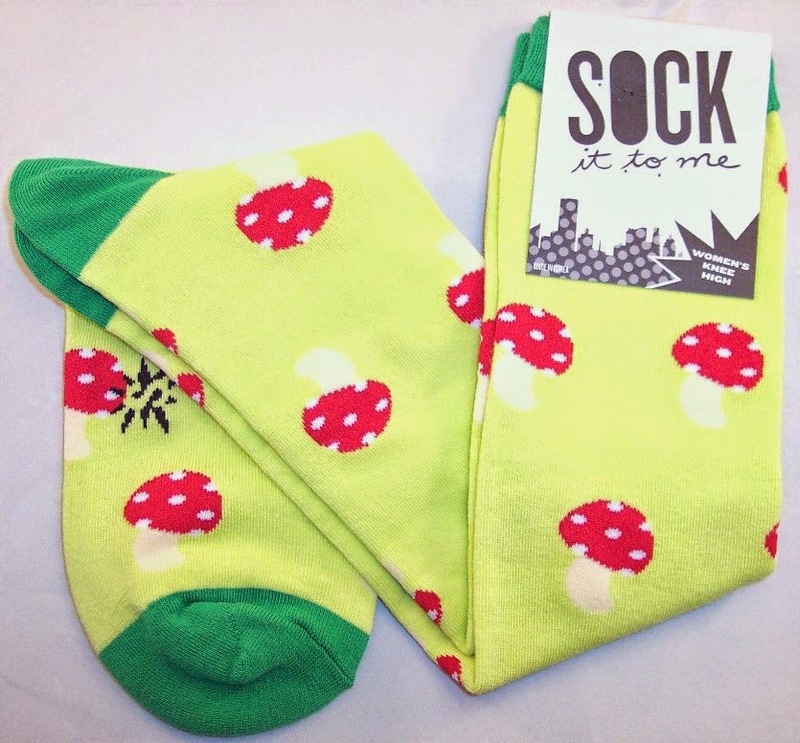 What's the worst that could happen....chartreuse socks with mushrooms on them? Blind Surprise Gift Box Review, February 2015 + 50% Discount Code! Who doesn't like nice surprises? Especially ones that reflect your personal interests? When you sign up for Blind Surprise, you can choose from among eight different areas of interest (Cooking, Technology, Fashion, Traveling, Humor, Working Out, Alcohol and Surprise Me!) There are also a few general questions such as gender, age range and phone type to help them customize your box. You'll get a unique gift or gifts reflecting those choices. Blind Surprise arrives via USPS Priority mail in a big cardboard box sealed with their logo sticker. "Cooking" was one of the interests that I indicated in my profile. So far, everything I've received from Blind Surprise has been kitchen related. That's cool but I do hope some of my other chosen categories will be reflected in future boxes. February's box contained three kitchen gadget type items. As with my first box, there was the standard "Surprise!" card. 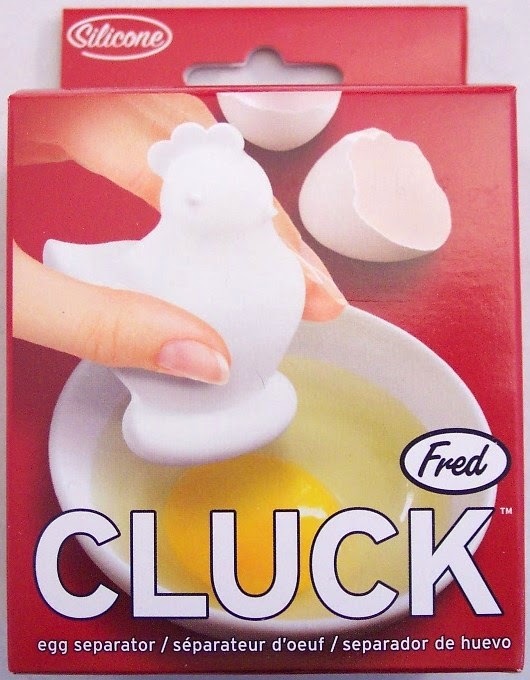 The first item is an egg separator aptly named "Cluck" from Genuine Fred. This is a cute little white hen made of silicone with an inch wide hole in the bottom. I'm really not sure how this works as there are no instructions. There are pictures on the side of the box. It looks like you break an egg into a bowl, then set the hen down over the yolk. I guess squeezing the hen extracts the yolk which can then be put in another dish. I'm a bit skeptical about this since I've never had good luck with egg separators. If it works, it will be a very useful item. 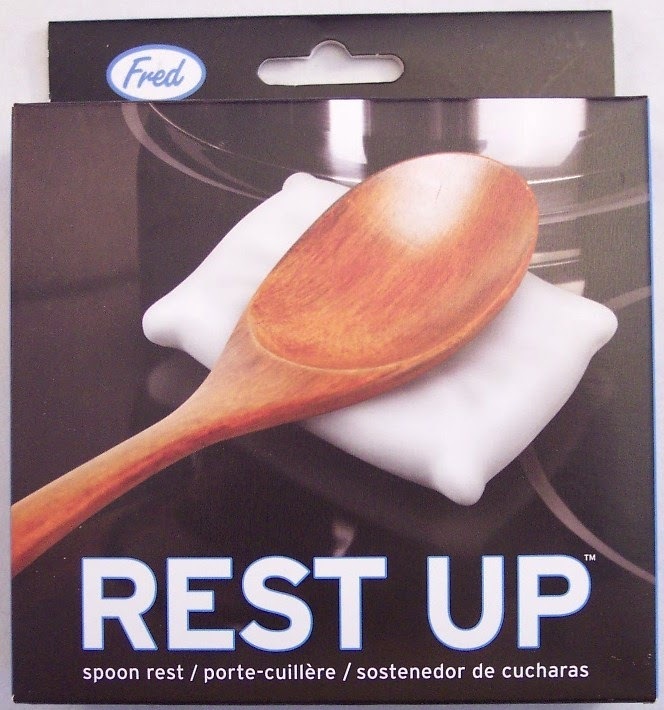 Next is another kitchen item from Genuine Fred, a "Rest Up" spoon rest. This is a small white pillow made of silicone. Not sure I like this as well as a solid spoon rest but it's cute and there's no doubt it will be easy to clean. It's pretty small so may not be adequate for a large utensil. 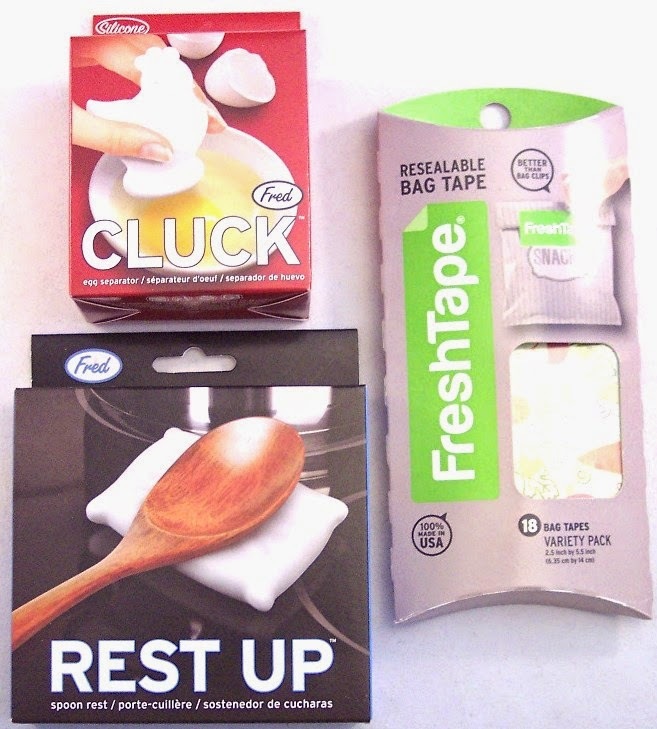 The third item is a package of 18 resealable bag tapes from FreshTape. These have colorful kitchen oriented prints on them. The tape can be used to seal various types of bags and each one is resealable dozens of times. They will stick whether used in the pantry, refrigerator or freezer. Since I am constantly losing or breaking bag clips, I think these might be pretty useful. They are certainly attractive! I must admit that I'm pretty lukewarm about this box. My immediate reaction was that the egg separator and spoon rest had a "Made in China" feel to them. When I checked, sure enough, they WERE made in China. They may be useful but they definitely don't have a special feel, as did the spice set in my last Blind Surprise box. The bag tape is a much more useful and creative item as well as one that is completely new to me. The egg separator and the spoon rest have a retail value of $8 apiece and the bag tape is $9.99, so the total retail value of this box is $25.99. I paid $24.67 per month on a three month subscription. The value is more or less there but I really wish the items were not so obviously mass produced. Blind Surprise's site says that they work with 5-10 new Etsy artists each month with the clear implication being that their boxes are likely to contain hand-crafted items. That has not been my experience so far. The items in this box are interesting and useful but lack the charm I was hoping for. 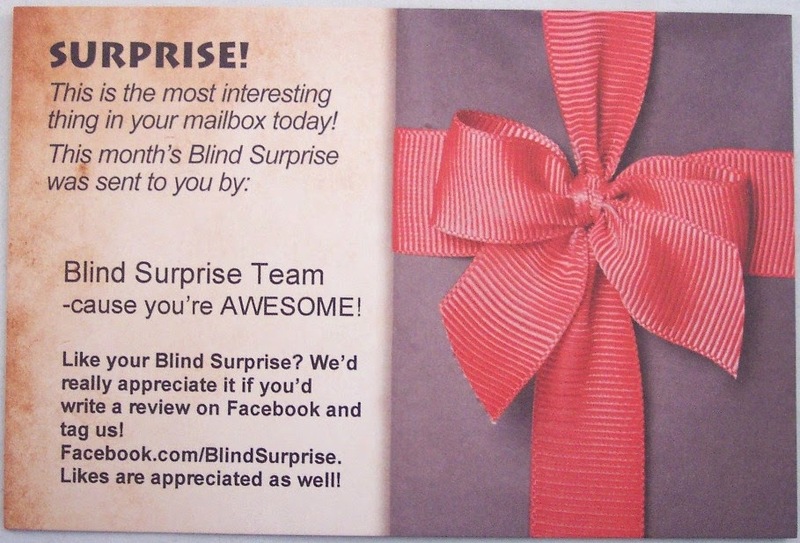 In addition to the various subscription terms, Blind Surprise does have the option to buy just one box if you're interested in trying them out. If you do opt for one of the subscription plans, they have a great discount code. Use TRYITOUT to get 50% off your first month. You can also use THANKFUL for 25% off or GREEN for $3.00 off. Here's hoping for less silicone in next month's box!